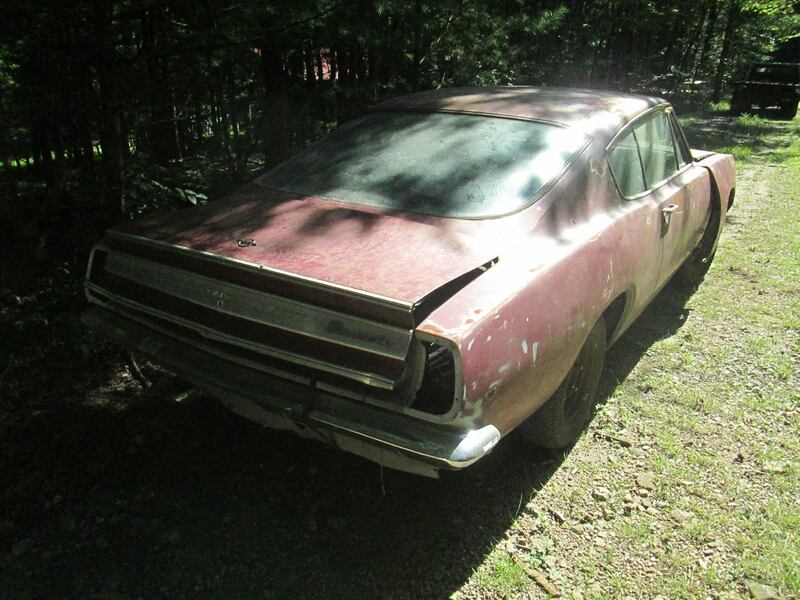 This just in: 68 Barracuda Formula S. It’s a 273 Hi Po car. There’s no title and no vin plates. The body shell including the rear frame rails are pretty solid. It’s loaded with goodies. Look for parts from this and other cool classic cars on our eBay auctions page or contact us to buy ASAP. ‹ 1975 Dodge Dart – Parting out 1967 – 1976 A-Body and 1970-1974 E-Body disc brakes.